In recent years, after all US slaughter houses were closed, millions of TV viewers have been horrified by footage of a horse being slaughtered in a Mexican slaughter house by a worker attempting, with a knife, to sever the horse’s spinal cord by stabbing him repeatedly. As a result of these graphic videos, many viewers, including me, have re-thought a decision that seemed easy at the time—to ban horse slaughter in the US. When it became illegal to slaughter horses in this country and the last slaughter house closed its doors, the decision had been hailed by nearly every horse owner I know. None of us ever thought the ban would have such horrifying repercussions—how horses are killed in a third-world country that has no laws that deal with the way these horses die. Back in the pre-ban days, I only heard very few voices of dissent, one from a woman veterinarian writing for Equus magazine. She wanted horse slaughter to remain legal because in her professional capacity she had seen horses so damaged, physically or mentally, that putting them down was the only way to end their pain. But the majority of conscientious horse owners didn’t agree with her, or with anybody taking that position. The situation is a little like the debate about abortion: those who are in favor of it don’t want to listen to arguments from the other side, and those who aren’t in favor of it aren’t willing to listen either. For most people, the decision was emotional, not logical—one of those “don’t confuse me with the facts” scenarios. But the truth is, this situation calls for an open mind as well as an open heart. First of all, the veterinarian raised a valid point. In one of his books, horse whisperer Monty Roberts talks about a young movie horse, a colt, who was taught by a Western movie star to fetch a stick and bring it back—and then to rest his forelegs on the star’s shoulders. The colt grew up expecting to be rewarded for rearing in order to rest his legs on the shoulders of his handler. (Roberts names the star, but I’m not going to. He wasn’t intentionally being cruel—he simply didn’t look at the possible consequences, and many of us are guilty of that.) Roberts said that by the time he got the gelding, he was practically schizophrenic, and Roberts was only partially successful. In 2011, a bill was passed to resume USDA inspections at horse slaughterhouses, and last year Rick de los Santos, owner of a meat company in New Mexico, put in a bid to start slaughtering horses again. 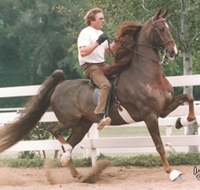 According to a story originally reported by the Associated Press and aired on ABC News in Albuquerque, NM (December 20, 2012) by reporter Jeri Clausing, the decision to end the slaughter of horses in America was just as short-sighted as that actor’s decision to teach a colt to rest his front legs on a human’s shoulders was. Some sobering facts came out while the ban against horse slaughter was in effect, and this time around, individual horse owners, some livestock associations and horse rescue groups, Animal Protection of New Mexico, the American Quarter Horse Association, and the Humane Society all agreed domestic horse slaughter needs to be reinstated for the good of the horses. 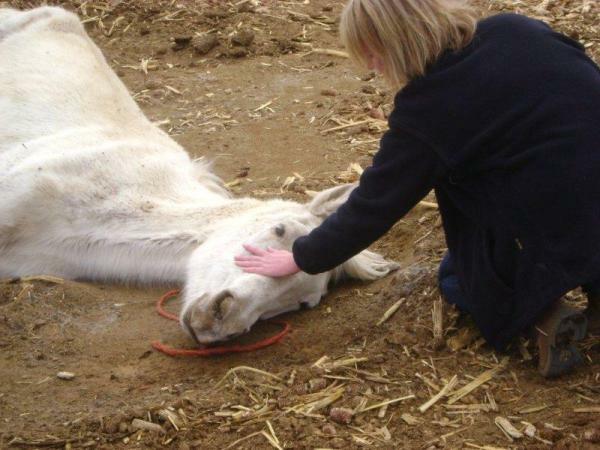 “They point to a 2011 report from the [Federal] Government Accountability Office that shows horse abuse and abandonment have been increasing since Congress effectively banned horse slaughter by cutting funding tor USDA inspections programs in 2006,” Clausing wrote. 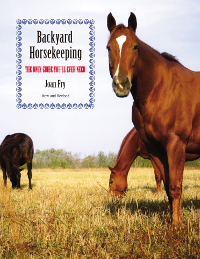 Americans have been portrayed by other countries as a throwaway society, and unfortunately that mindset persists even among horse owners and—probably the worst offenders—horse breeders. “The number of U.S. horses sent to other countries for slaughter has nearly tripled since domestic horse slaughter ceased,” the article continued. “Most humane groups agree that some of the worst abuse occurs in the slaughter pipeline that often takes horses to inhumane facilities in Mexico.” According to the Equine Welfare Alliance, 68,429 horses were shipped to Mexico in 2011, and 64,652 were shipped to Canada. In 2006, the total number of horses exported to other countries to be slaughtered was 37,884. The only way to curb abuses in U.S. slaughterhouses is to make sure the USDA inspectors do their job. That should be the focus of the humane groups that want to ban horse slaughter in this country—again—and are asking the rest of us to help finance it. Yes, some horses are beyond saving, and if their owners can’t be bothered to ensure them an easy, painless death by having a vet euthanize them, the rest of us should redirect our efforts to make sure that their deaths at slaughterhouses in this country are as pain-free as possible. Michelle, thank you for your thoughtful comments. I agree whole-heartedly. If the USDA approves of horse slaughter houses, they need to step up to the plate and enforce some humane rules–for example, those you suggested. When your comment showed up in my email in-box, it included some material not in your comment, that the USDA recently approved the Valley Meat Company for horse slaughter. Where is this facility? I’d like to learn more. In addition, The contents are masterpiece. you have performed a fantastic task on this topic! I’m not the webmaster, but I’ll be happy to pass along the compliment. Thanks for your comments on the blog itself. I’m always open to suggestions about what people like to read, so feel free to write again. If we must have slaughter houses, they must be kept under close scrutiny by humane organizations and/or the government to make sure the horses are killed in a humane manner. Thanks for writing, Dennis.